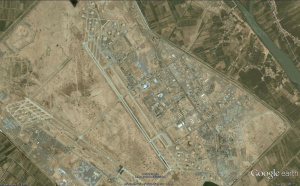 Balad Air Base, Iraq | Tigerbrain Engineering, Inc.
Balad Air Base was selected as an F-16 Beddown for Iraq as part of the Foreign Military Sales program. Tigerbrain sent a team to evaluate the pavements, conduct a Pavement Condition Index (PCI), and implement PAVER. Tigerbrain also prepared reconstruction packages for the Design-Build repairs. The pavements include two runways (Runway 12-30 at 11,509 feet and Runway 14-32 also at 11,509 feet), two parallel taxiways and five aprons. Damage included 36 bomb craters and numerous spalls from mortars on the airfield, which were repaired. A total of 4,520,000 square feet were evaluated. 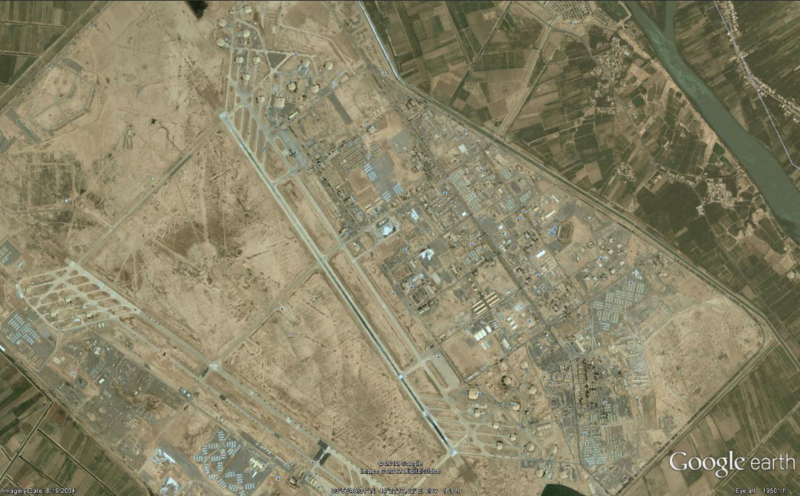 A Yugoslavian company constructed Balad Air Base in the early 1980’s. Construction documents were not available, so Tigerbrain interpreted the visual evidence and determined the technique used to construct the concrete pavement at Balad was unique. 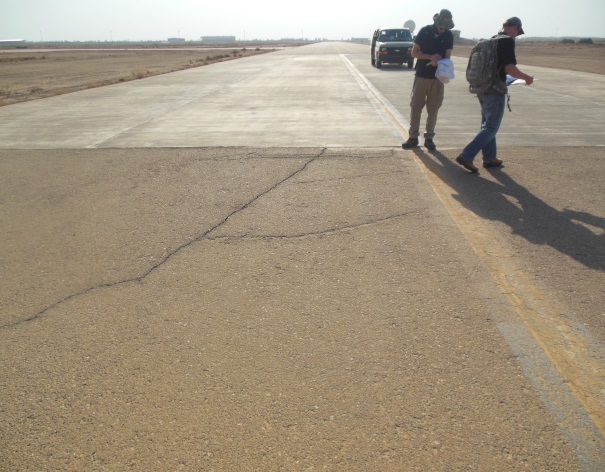 Conventional airfield pavement is constructed with the individual slabs being isolated from adjacent slabs by joints (each slab responds to load and environment). The concrete pavement at Balad is formed in nominal 32 m by 7.5 m pavement modules, each with steel reinforcement. The interior of the module is sawcut to form individual slabs; the sawcuts never cracked. The unique and unorthodox construction approach is the cause of the predominant distress which is joint spalling. 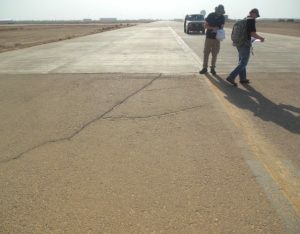 The USACE recognized the unique pavement construction needs and requested Tigerbrain to prepare numerous pavement reconstruction packages. Tigerbrain prepared detailed specifications tailored to the specific needs and conditions for the austere environment. Tigerbrain also created plans to the 85 percent stage for the design-build RFP packages. The runway repairs were completed in the summer of 2015.